Yapese culture is indeed intact. 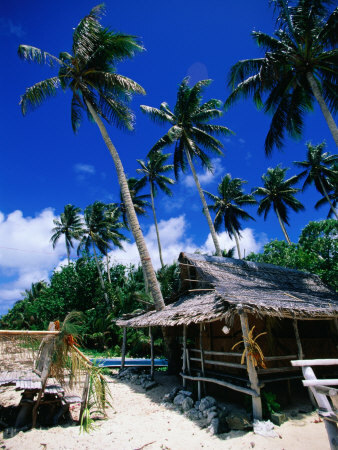 Even though the island is open to tourists, all visitors are expected to respect the traditions and norms of Yap. For example, all Yapese women are required to always cover their thighs when they are in public. They are bare breasted which is as fine as men wearing no shirts. But when it comes to showing your legs in public, it is very inappropriate and disrespectful. Therefore the Yap Visitors Bureau recommends that bathing suits are only worn for swimming, on a boat or by the pool. They say long shorts or sarongs are fine, as are jeans or slacks but men should not wear shorts that are “too short”. Walking around town in skimpy or transparent attire will put you on the radar and you will not feel welcome on the island. Women are also expected to sit properly. Squatting in public is considered improper and disrespectful. If you decide to take a stroll at night, make sure you have a light with you, especially if you plan to enter a village. Walking with no light in the dark is a sign that you are looking to cause trouble. Last but not least, do not walk around villages empty handed. The Yapese would think you are visiting the area with no purpose but to cause trouble. The Visitors Bureau advises that a small branch (Muteelpaaq) would do if you don’t have a handbag to walk around with. The Yapese Betel Nut, known as "Buu"
Betel is a type of leaf that grows on a betel vine. On the island of Yap, this special leaf is then chewed along with the Areca nut which is the seed of the Areca palm tree found in tropical areas such as Micronesia. The reason why this betel nut combination is so interesting is not only because of its symbolic meaning in Yapese rituals but also because it is a psycho-active drug. In small quantities, it has the effect a cup of coffee or in other words, it gives you a high. But since the Yapese may mix in tobacco with the betel leaves, it quickly becomes addictive and studies have shown that the nut is a carcinogen and can cause certain types of cancer if chewed regularly. Another powerful quality that the nut has is that it can stain your teeth for life should you become a heavy user. 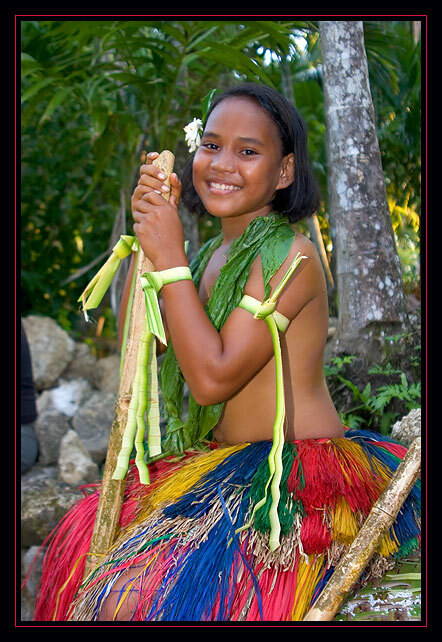 The Yapese start chewing betel and areca at a very early age and thus their teeth are permanently colored red or orange which in ancient civilizations was considered attractive. But the nut is also believed to be a good remedy for bad breath and cavities as well as a natural stimulant and a medicinal source. The Habele Outer Island Education Fund explains that since the buu is hard to grow, it is cherished by the Yapese as treasure. Yapese people chew betel nut as a way to socialize or when they need to focus and think before speaking at meetings. They offer betel nut as a sign of goodwill to guests and the core message is to slow down. Your best bet as a newcomer is to share what you have and enjoy the buzz which is an essential part of the true island experience. The Island of Stone Money, called "Rai"
We often hear the phrase “Money is just paper”. It is light and colored, and looks almost the same in all countries. But what if money is made out of stone, it is heavy and costs more if someone died because of it? That’s exactly the case on Yap. 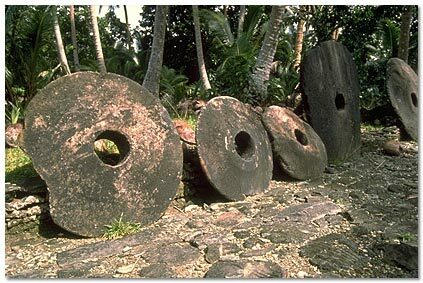 Yapese money, also known as “rai” was first invented on the island of Palau when a man tried to carve a stone in such a way that it would resemble the shape of the moon. In order for him to carry it, he had to carve a hole in the middle of the disk. 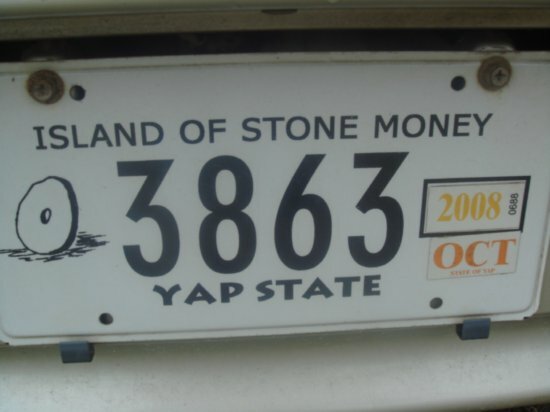 The Yapese embraced the idea and soon it became their official currency. According to the article ”The Stone Money of Yap: A Numismatic Survey” , the money ranges from a foot in diameter to about ten feet or even more. The value is determined by how the disk got transported to the island. The more difficult and hazardous it was, the higher the value. The supply is now fixed since no more rai are being carved or imported from the neighbor islands. What matters to the Yapese is not the quality of the disk’s carving but who the owner is and how they got it. Even though the US dollar is their de facto currency, one can still buy property on the island using rai that has a high value to the Yapese. There are around 6,800 rai scattered on the island and its inhabitants know the owner of every single disk. They don’t move the money because every inch of Yap is private property and that accounts for a certain etiquette among the islanders.